Summer is here, and although the days are quite warm, the nights still have a slight chill to them. When dressing for drinks or dinner out on the town, trendy trousers are perfect during this transitional time between seasons. 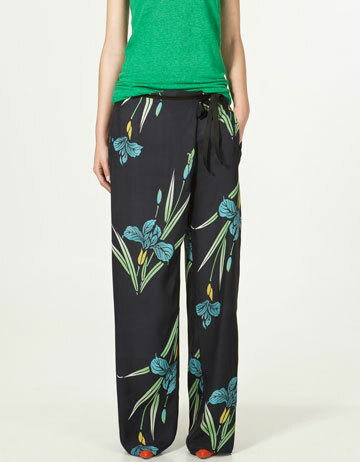 And since mixing and matching bright colors is huge this summer season, I have been eyeing these colorful trousers from one of my all-time favorite stores, ZARA. I’ve also added some printed trousers to my ZARA trouser shopping bag – summer time always means more stripes and prints in my wardrobe, plus these are always just the thing for a fun summer look! Now every girl could use a second opinion while shopping… so I’m calling all of my fellow fashionistas – Which trendy trousers do you like the most? Cast your vote by writing a comment. Thanks shopping buddies! 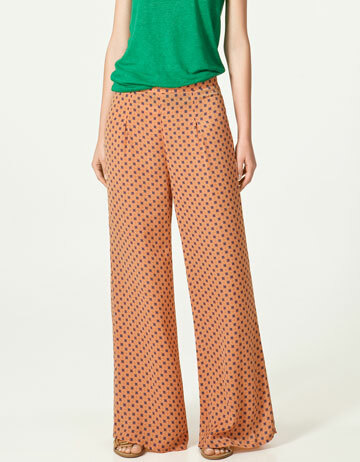 Oh, I love the orange cigarette pants! I could just see them paired with all kinds of fun tanks, flowing tops and powerful shoes! Oh, that sounds fabulous! I think you’ve sold it to me! Without a doubt, the orange pants will be mine. 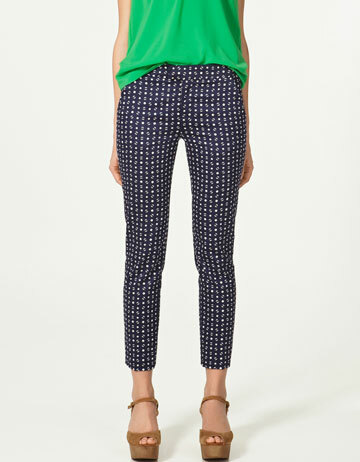 I have a feeling that I won’t be able to decide on just one – I may have to buy two or three trousers. 🙂 Thanks Lisa!